If they meow it didn't happen you've got the proof with your picture! The sun seems to bring even the worse enemies together! How sweet. The magic of sun puddles. Have a marvellous Monday. Sun puddles: the great equalizer! behold the power of the sun puddle! It's amazing what a sun puddle can do. Good thing you got a photo to capture the historic moment! When sun puddles are scarce, a good sun puddle can overrule any other rule. Love this photos for many reasons. What a lovely picture! How wonderful that you were able to capture this precious moment in time! 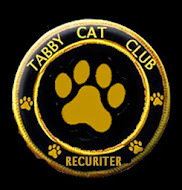 Thursday greetings my pawesome furriends ~ I just stopped by to say come by my blog as there's a surprise just for mew! Nice! Glad you were able to get such lovely photographic proof.